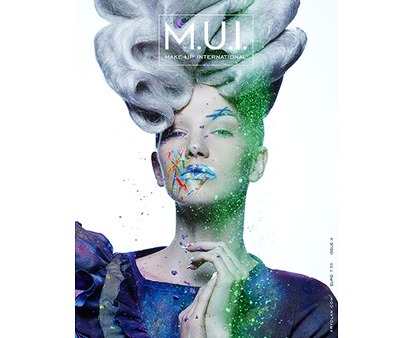 The forth edition of the M.U.I. 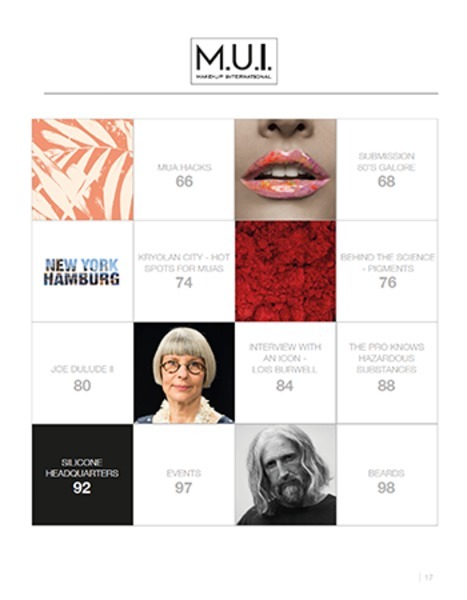 truly inspires the reader. 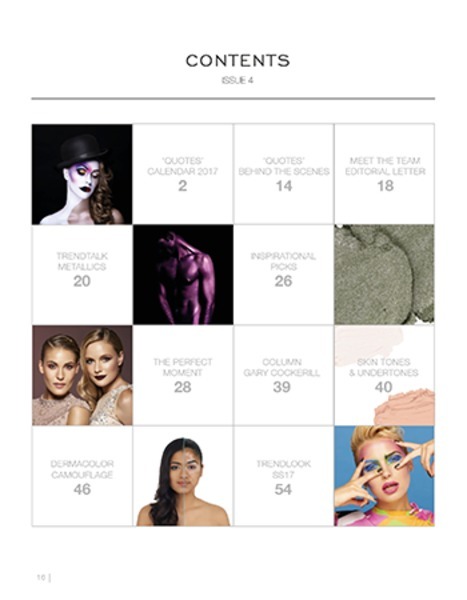 The premium quality design as well as interesting topics such as as the production of the Kryolan calendar "Quotes" 2017, our view on the trend topic Metallics, a column from celebrity MUA Gary Cockerill, e detailed description of the topics skin & undertones, our Trendlooks Spring/Summer 2017 and a glimpse behind the science of pigments guarantee pure joy. 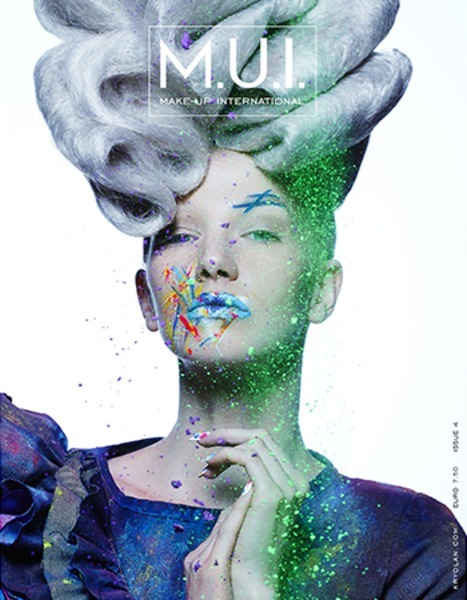 The Make-up International has become a must-read for every MUA and make-up lover.